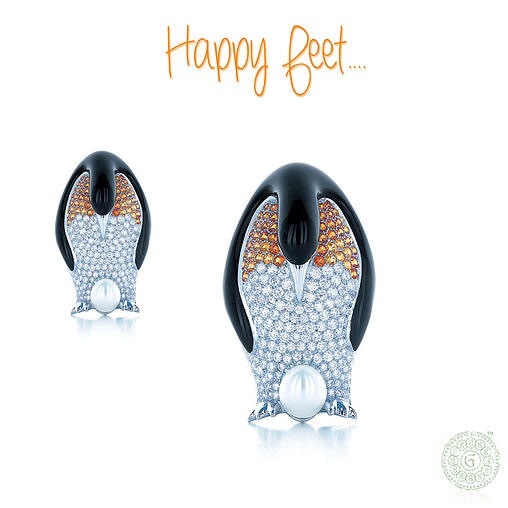 New trends in secret jewelry, hidden watches, secret compartment in your jewelry, so James Bond, 007 stuff but with bold looks, adorned with jewels, very fashionable, glam all the way. Functionality and beauty, how can you go wrong! 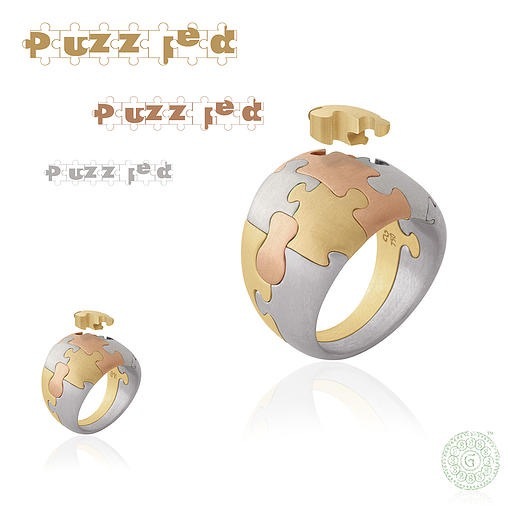 18K yellow, white and rose gold puzzle ring, very creative! Fun Fact: 18K – as a measurement of purity, .750 fine gold contains pure gold in 750 parts and other base metals in 250 parts, 18K is 75% of pure 24K gold. Call it 18K or .750 its all the same. 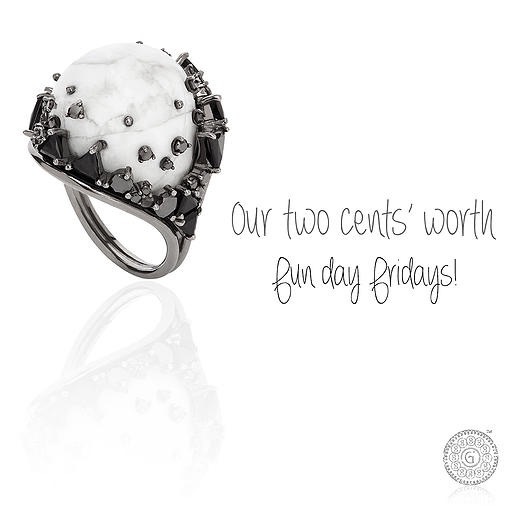 Two worlds collide, 18K white gold, howlite black jade and black diamonds.Ex-traor-di-nar-y! Fun Properties: Howlite is a stone of awareness. It can prepare the user or wearer to receive wisdom and attunement from the higher self and the divine. So Fresh & So Green! 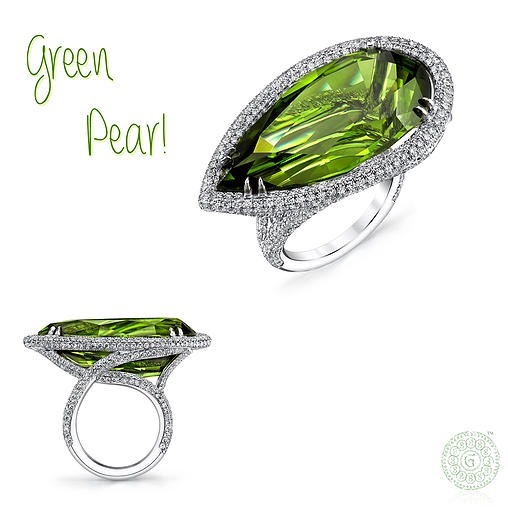 18K white gold diamond ring with pear shape peridot, So Green! Fun fact: Peridot is one of the few gemstones that occur in only one color, an olive-green. The intensity and tint of the green, however, depends on how much iron is contained in the crystal structure, so the color of individual peridot gems can vary from yellow—to olive—to brownish-green. The most valued color is a dark olive-green. Gold rings, precious and semiprecious stones and enamel. Bold faces! Bold Rings! Renowned Italian jewelry designer took inspiration from Giuseppe Arcimboldo also spelled Arcimboldi he was an Italian painter best known for creating imaginative portrait heads made entirely of objects such as fruits, vegetables, flowers, fish, and books, pretty amazing! 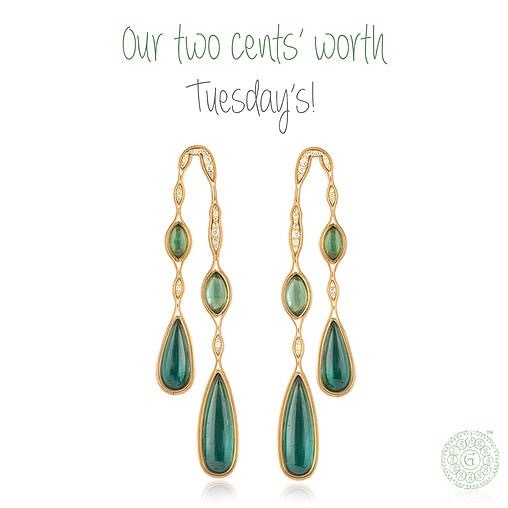 Our two cents’ worth Tuesday pick, features these fluid dangle earrings, gold with diamonds and shades of green tourmalines. Fun fact: Tourmalines are most commonly black, but can range from colorless, brown, violet, yellow, orange, blue, red, green, pink, or bi-colored, or even tri-colored.